The Mini-Fraxel, Clear + Bright procedure can significantly improve the appearance of skin by erasing sun damage, dark spots, fine lines/wrinkles, and areas of hyperpigmentation. Since the Mini-Fraxel uses a low level of energy, there is less risk for burning and scarring. The treatment can be used on almost any area of skin, including the face, neck, arms, and hands. Even delicate areas, such as around the eyes, can be safely and effectively treated with the Mini- Fraxel Laser. The procedure intermittently emits concentrated bursts of energy deep into the skin. This creates very small micro-injuries in the tissue, each around a tenth the diameter of a normal hair shaft. The body’s natural healing response is then activated, increasing the production of collagen and elastin; two of the most vital elements in healthy tissue. The Mini-Fraxel procedure will result in fresh, glowing skin that is firmer and stronger than before. Over the following 3 to 6 months, the benefits of a Mini-Fraxel treatment will continue to improve. To view before and after Fraxel Laser Treatment photographs click here. Patients generally report feeling a warm, pricking sensation during the laser pulses. Once a topical anesthetic has been applied, a thin layer of gel will be smoothed over the treatment area. Dr. Byrd will then gently glide the Mini-Fraxel hand-piece across the skin, delivering tiny bursts of fractional laser energy to the tissues. For optimal results, most patients will require between 3 and 6 treatments, spaced between 4 and 8 weeks apart. Results of the Clear + Brilliant treatments are both immediate and progressive. Just a few days after your treatment your skin will start to feel softer, look brighter, and have a more even tone. The skin’s tone and texture will continue to improve over several months, following a Mini-Fraxel treatment. These results can be expected to last up to a year, sometimes longer. The recovery process, after a Mini-Fraxel procedure, will take from 5 to 7 days. Immediately after treatment, the skin will be red and slightly swollen. These will normally diminish over the following week. As the old tissue is sloughed away, flaking (similar to peeling after a sunburn) will occur, as well. Most patients feel well enough and are comfortable return to work less than a week after their Mini-Fraxel procedure. 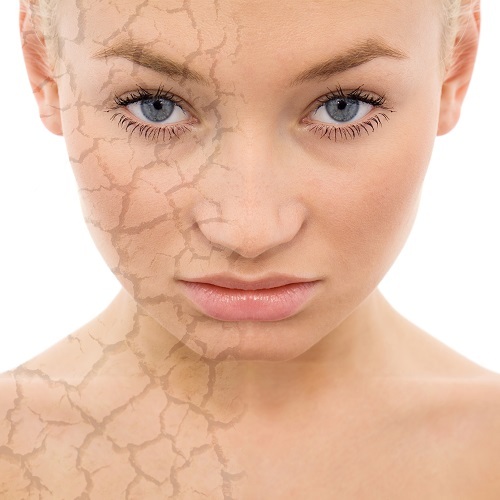 Side-effects from the Mini-Fraxel Laser include redness, swelling, and dry or itchy skin. These are to be expected and will resolve on their own over the first week to 10 days. More serious complications are rare, but can include infection and scarring. We have worked hard to create a warm, inviting office environment, where you will feel comfortable and relaxed throughout your Mini-Fraxel, Clear + Bright experience. If you would like additional information about other cosmetic procedures at Byrd Aesthetic and Anti-Aging Center, please contact us at 866/671-5633 to schedule a consultation with Dr. Byrd.